Not your typical royal period movie. “Sometimes a lady likes to have some fun!” is the statement that best describes Yorgos Lanthimos’ approach in his farcical period film featuring talented actresses having fun about the evils of power and human ambition. More often than not, we see period films that package regality and selfless acts of royals for their subjects and left us with feeling of insecurity. But this cynical and unpretentious take regarding the trinity of royal women seems to be the opposite and rather chose a comic but darker path. Might as well make us rethink how can we be insecure in the first place when in fact we are similar or experiencing a much better life. In the 18th century, England is at war with France. 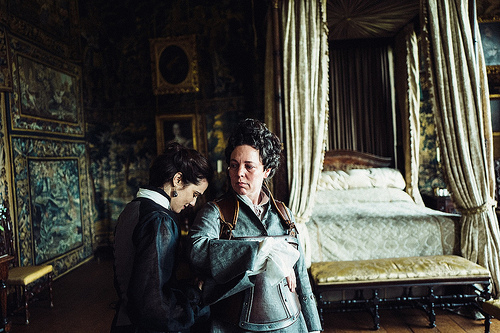 Anne (Olivia Colman), reigning as its queen has shown little interest governing the country, suffers gout from time and time and left scarred for life by the loss of her 17 children. She rather fancy racing ducks and lobsters, playing whist and playing with her 17 rabbits, each of whom represents her grieving for her lost children. Ruling in her stead is Lady Sarah (Rachel Weisz), Duchess of Marlborough whose husband is the leader of British resistance against France. Effectively ruling through her influence with the Queen and allegiance to the Whigs, is also her task of managing the Queen’s health, irregular moods and her role as Queen’s lover. But all of those started to change when Abigail Hill (Emma Stone), Sarah’s disgraced younger cousin arrived at court seeking for employment. Started as scullery maid in the palace, she soon finds an opportunity to gain back her ladyship by igniting a game of favor against Lady Sarah. It could be said that the film gain traction on different awarding bodies like the Oscars and Golden Globes because it is aligned on what is currently a call for a change happening at the Hollywood. The rise of different movements like MeToo, gender equality, women empowerment and LGBTQ awareness in Trump era. 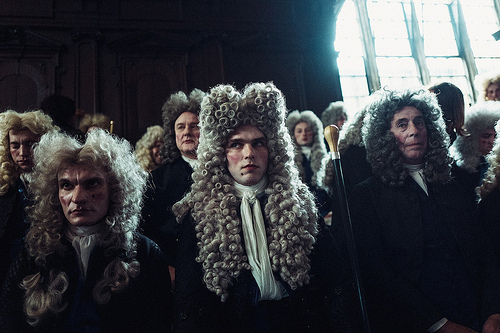 Majority of recent Oscar films seems to have an agenda that tackles different aspects of those issues but The Favourite is distinct of them all. The film is never been pretentious and using this issue as an advantage to draw audience. You’ve never felt that the film is trying to make a point nor preachy at any cost but just shows the great dynamics of the three women as a human being. If there is one thing that Lanthimos succeeds in doing so, it is that he makes fun of these royal figures and just get out of it easily. Nevertheless, this film deserves all the recognitions it currently have and it will have because it rightfully do so regardless whether it taps heavily on those matters. It presents an inventive and unique type of cinematography and robust editing. The regality of its royals is matched with sumptuous costumes and period set pieces. The use of steadicam and wide angle camera most especially fish eye lens adds significance to the story. Framing of characters and locations in natural lighting are purposely done to provide meaning. There are times the interior of the castle are shot in fish eye lenses to show the distorted system that is happening inside. Use of wide angle camera that fits a larger landscape into a specific frame could mean that power in the large country such as England fit in the this rectangular palace. Finally, shots to portray characters such as low angle used in Robert Harley (Nicholas Hoult) aims to shows that he is powerful over every characters but in reality he is the exact opposite. 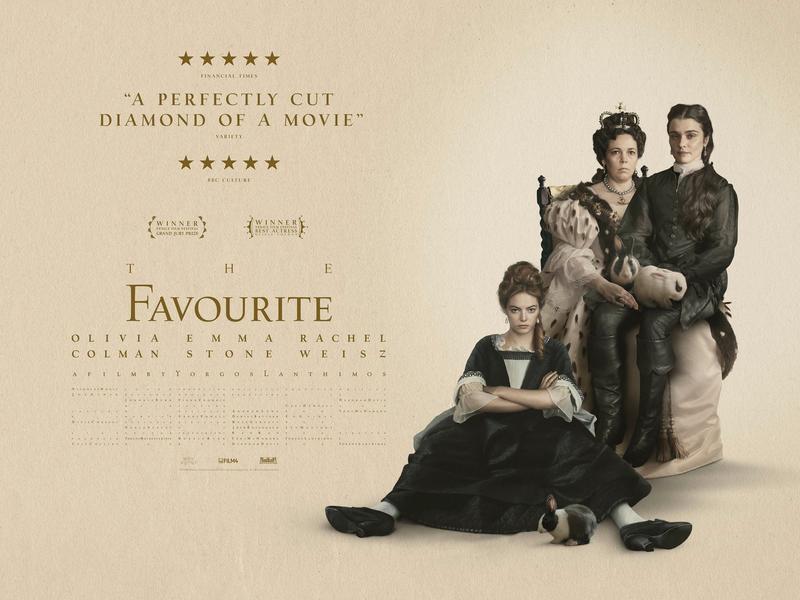 Of course, the Favourite won’t work without its great ensemble most especially its female casts. Colman, Stone and Weisz performances are hilarious and enchanting. This love triangle is as deceitful and wicked as it gets and makes every men as accessories. Colman as childish and jealous, lustful and broken queen delivers an over the top acting which proves that too much is better sometimes. Her sight and way of delivering her dialogues are the source of humor and memorable lines. Stone though an American, put on the table a persuasive English accent and her ravishing and innocent looks helps to win our hearts over until it does not. Stone as Abigail proves that she is a useful ally but a dangerous enemy. 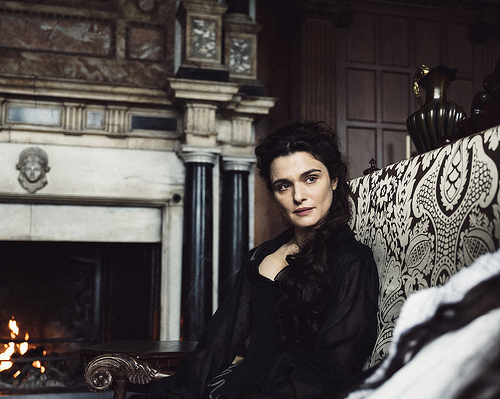 Lastly, Weisz channels her deceitful and sassy looks to give justice to Lady Sarah. Favor is a breeze that shifts direction all the time as said by Harley, is the other thing that Lanthimos and its writer Mcnamara and Dempsey let us experience throughout the film. For at the beginning, Abigail Hill wins our favor and we will hate Lady Sarah for her machinations until we either exactly feel the opposite or we just do not know who to root for at the very end. It may be a story about Queen Anne’s ruling but this loosely based historical adaptation is a story of Abigail Hill through and through. What seems to be a funny tale, turns out to be complex, dark and melancholic story at the very end. Lanthimos, I daresay is one of the most polarizing director of the century. His unconventional depiction of contemporary life in his tragic films like Dogtooth (2009), The Lobster (2015) and Killing of a Sacred Deer (2017) always challenges one’s psyche. The penchant of the man for tragedy might be a great reason why he chose to direct this film in the first place. But this audience friendly film compared to his previous features will be a great introduction on how great visionary director he is. Ultimately, The Favourite is not just your typical royal period movie. It is a wicked film with female centric and round characters that excels in every way possible. A culmination of great talents in front and behind camera that displays Colman, Stone and Weisz bravura performances in may be Lanthimos’ most affable film to date. Do yourself a favor and go see this film! #TheFavourite opens in select Ayala Malls Cinemas FEB 20! Been waiting for this and I wasn't disappointed. Loved it! Perfect performances from the 3 leads and the screenplay is brilliant. Heavy ng ending but that's Yorgos for you.